1. What does StellarAlgo do? StellarAlgo uses machine-learning technology and a SaaS customer data platform to focus on fan data analytics for live-audience businesses like sports franchises, cultural institutions and live events. Our solution allows organizations to easily collect, organize and drive insight to maximize the engagement, affinity and lifetime value of their customers. We’re based in Calgary and work with some of North America's largest sports and entertainment brands. Before I started StellarAlgo, I led the creation and build out of high-performance analytics cultures and technology stacks within the sports and entertainment industry. The industry tools that were available at the time were too manual and lacked predictive capabilities, which is what many in the industry were looking for. With our actionable customer data platform, we are accelerating the ability of live-audience businesses to identify, predict and act on opportunities. We are achieving significant return on analytics investment with a platform that combines sophisticated data science with simple, elegant usability. For eight years I worked in the sports and entertainment industry, I experienced firsthand the pains of trying to leverage customer and business data to enhance sales and marketing capabilities. My direct knowledge and experience helped me understand the nuances of industry pain points. We continue to invest in our understanding of those pain points and, as a result, our entire team is involved in incorporating feedback from existing and potential customers into our product development. 4. How did you go about building your team? We’ve assembled an excellent team with skill sets that include data architecture, data engineering, software development and data science. The technology community in Alberta is incredibly collaborative and networking within this ecosystem helped me to identify a best-in-class team to build StellarAlgo. Our CTO, Sean Fynn and Head of Product, Joseph King, have deep relationships and understanding of the skills that will continue to shape the future of leading-edge technology and both have been pivotal in building our team, all of whom are Calgary-based. We are currently looking for customer success help and sales resources to meet the momentum we are building. What I’m most proud of is how our SaaS customer data platform leverages sophisticated methods and approaches to turn data into practical and tangible results for businesses. Also, that we have been able to build and grow a best-in-class team, all right here in Calgary. We are seeing great results by accelerating our clients’ ability to better understand their customers. We are achieving significant return on analytics investment with a platform that combines sophisticated data science with simple, elegant usability. We have been able to grow and scale the company and we have a strong client base across North America. These clients are interested in using data analytics and machine-learning technology to maximize their opportunities to reach their fans. 7. What are your future goals for your company? We are extremely focused on continuing to build out our capabilities to meet the fast pace of growth we have seen as a business to date. We see further growth from increased penetration into North America’s major sports leagues, but we are seeing equal opportunity from applications to other industry verticals. Our goal is to be THE customer data platform for live audience businesses worldwide. 8. How has Startup Calgary helped your company evolve? 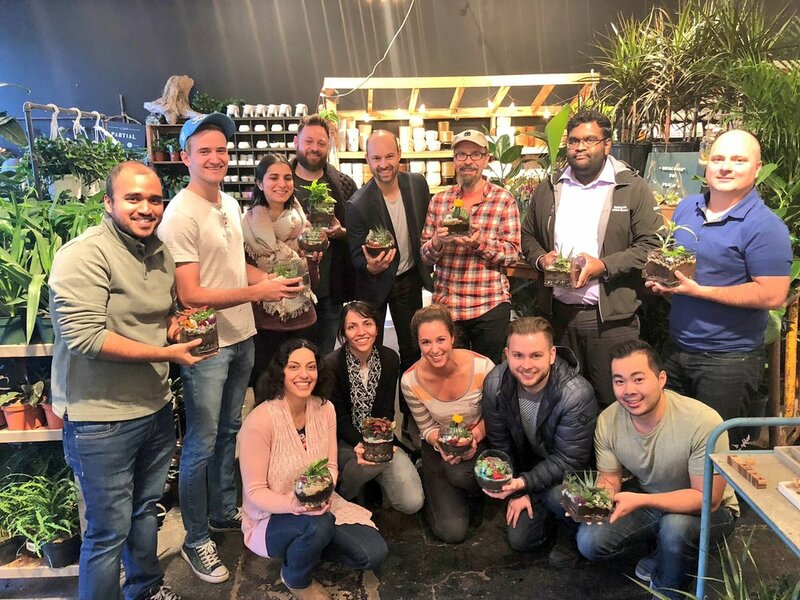 Startup Calgary introduced us to a network of amazing startup visionaries and technologists, all of whom have helped us to accelerate our business. They have played a great role in helping us prioritize the right things at the right time for us to grow. Startup Calgary has also helped us tell our story, especially locally, and raise awareness for our company. 9. If you could tell the rest of the world something about Calgary, what would it be? Calgary is an amazing place to live and do business in. It’s easy to take it for granted, but even after having lived in so many wonderful places in North America, I can’t think of a better place to start a company than right here. Building StellarAlgo here in Calgary has played a major role in our success today. The biggest surprise for me as a founder was the extent of personal development that is required of you. You are constantly working beyond your own personal confines. The process of building a company has a steep learning curve and you will need to draw from the resources around you. Operating in uncertain circumstances and territories is difficult but being comfortable in those scenarios and being prepared to deal with them is part of the process. Surround yourself with people who have your best interests in mind. Rely on them to help you navigate the process.